Brief Synopsis – A vaudeville couple’s lives and work are tested when one of them gets signed for a Broadway show. My Take on it – This is another film that I knew nothing about before finding out that Dan Dailey was nominated for an Oscar for Best Actor for this film. 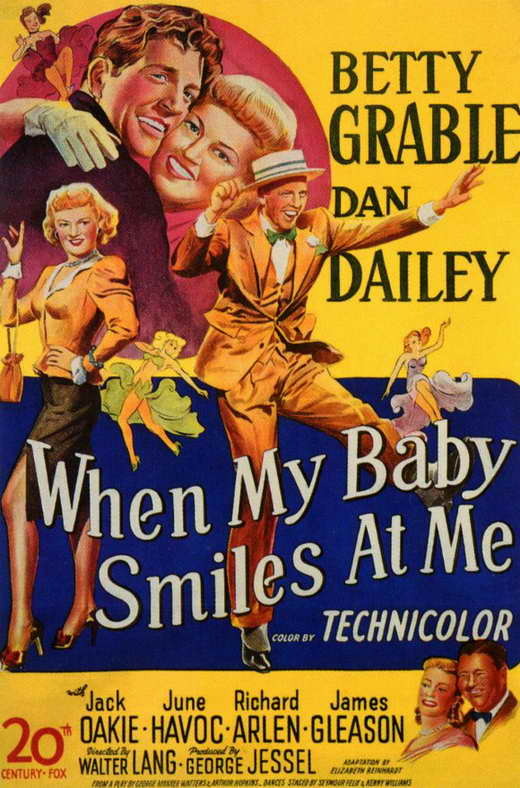 I had never seen any of Betty Grable’s films before and looked forward to seeing what it was all about. Unfortunately, this film is quite mediocre and that probably has much to do withe the fact that it’s presented as a comedy/musical instead of a straight out drama. Both Grable and Dailey are fine here, but neither really gives a stand out performance which begs the questions as to how Dailey got a Best Actor nomination for this role. Yes, he does play a drinker and womanizer but even that can’t really warrant such an honor because as I mentioned earlier, this feels like more of a comedy than in a drama in the way that it’s all presented. Their characters have no chemistry together which also takes away from the fact that their characters are required to go through numerous turbulent events in their lives and careers. Bottom Line – The story itself is quite mediocre and this might work much better as a drama than as a comedy/musical. Grable and Dailey are both fine here but its hard to feel any kind of connection to their characters and everything that they must go through here. Dailey’s portrayal of a drinker and womanizer garnered him an Oscar nomination for Best Actor for this role.